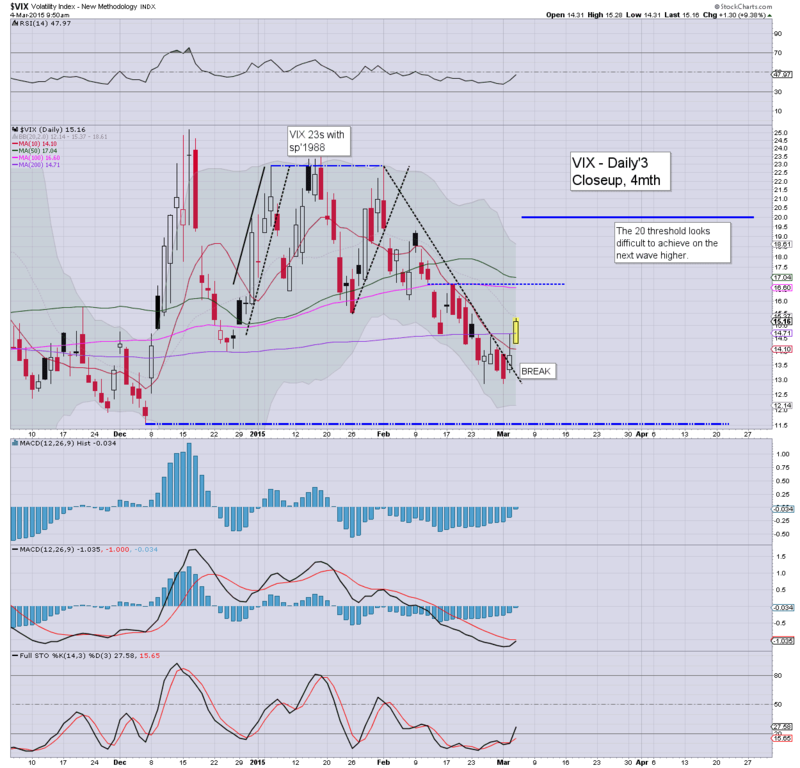 With continued moderate equity weakness, the VIX continued to claw higher, settling +2.7% @ 14.23 (intra high 15.33). Near term outlook offers the sp'2060s, which should equate to VIX (briefly) in the 17s. The big 20 threshold looks out of range in the current up wave. Suffice to add, equities look set for another few days to the downside... which should equate to VIX maxing out in the 17s.. perhaps 18s. Certainly though.. the 20s look out of range. 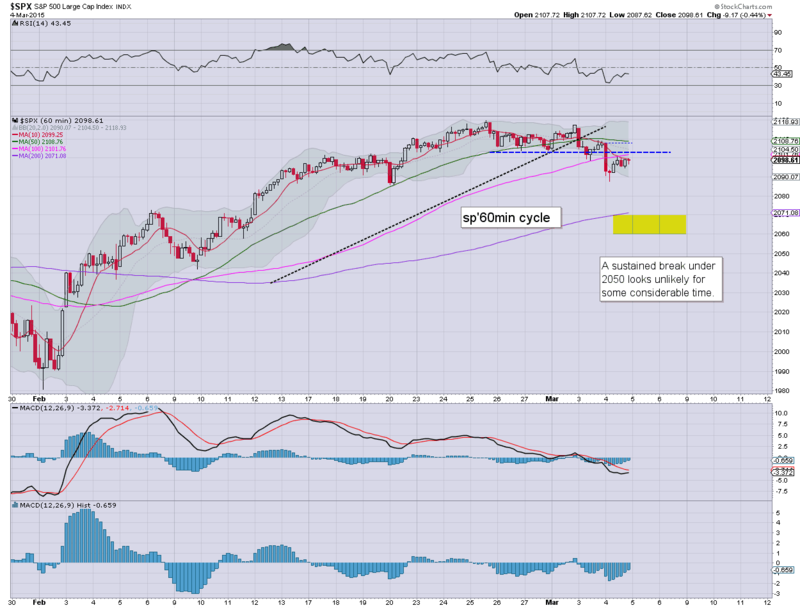 US equities closed moderately weak, sp -9pts @ 2098 (intra low 2087). The two leaders - Trans/R2K, settled lower by -0.4% and -0.3% respectively. 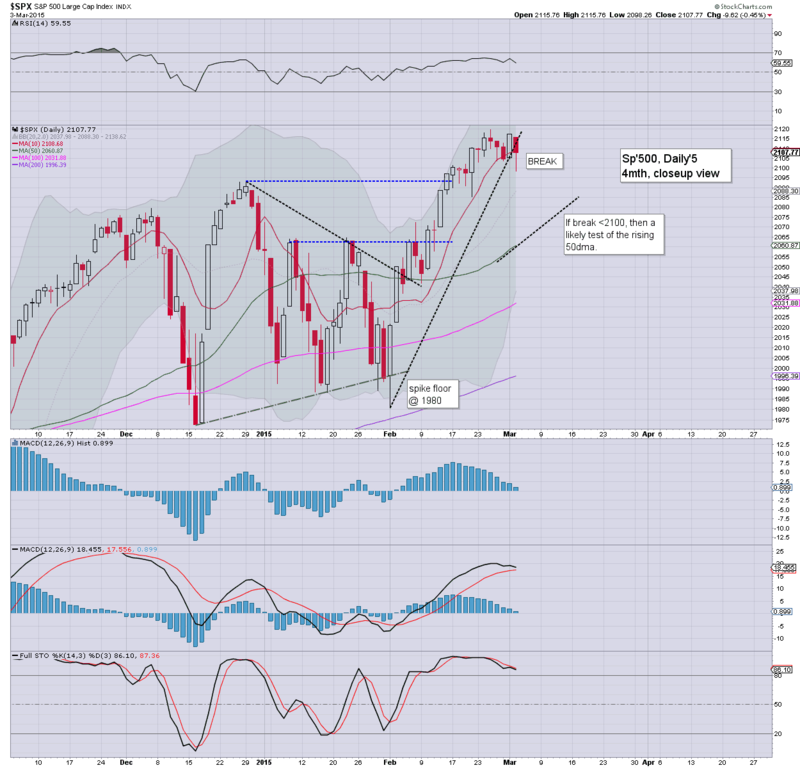 Near term outlook offers a continued minor retrace to the sp'2060s, along with VIX in 17s. Broader outlook remains powerfully bullish.. not least via looming ECB QE-pomo. *a closing hour of minor chop... but still... nothing bullish. Price structure on the hourly chart is arguably a bear flag... offering the 2070s tomorrow. Interesting weakness in the morning.. a natural post 11am bounce, and despite a fair few micro rally attempts... the market still managed a close under the daily 10MA and sp'2100 threshold. 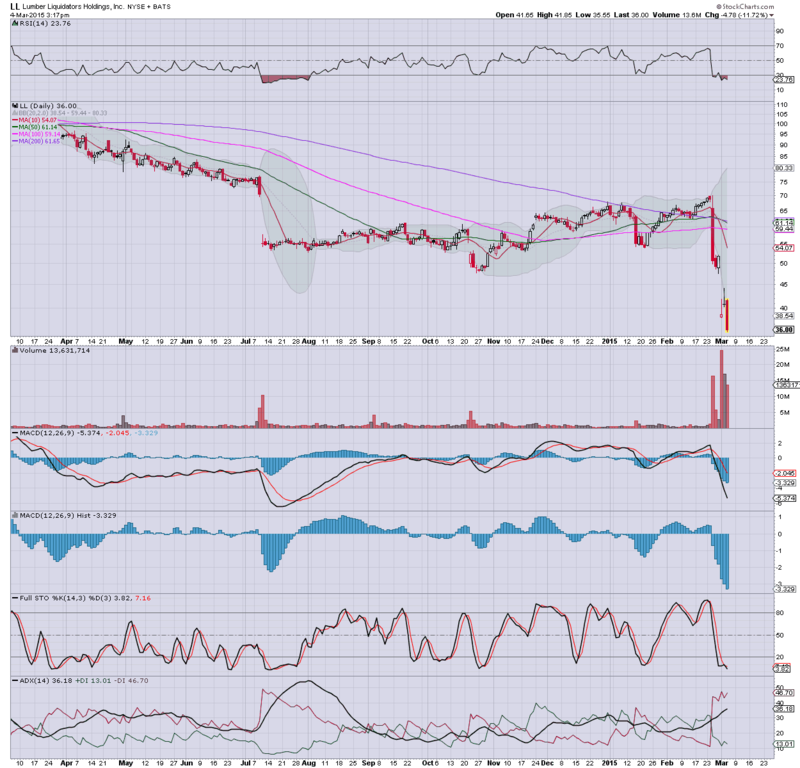 Certainly, the net daily declines are not significant, but it does bode for a move to the 2060s as originally sought. Despite the current daily decline (with likely weakness into the close) it remains somewhat ironic that despite net daily declines for the past 5 of 6 days, the sp'500 remains within 1.1% of the historic high. Metals remain weak, Gold -$3, whilst Oil has built (unsustainable) gains of 2.6%. 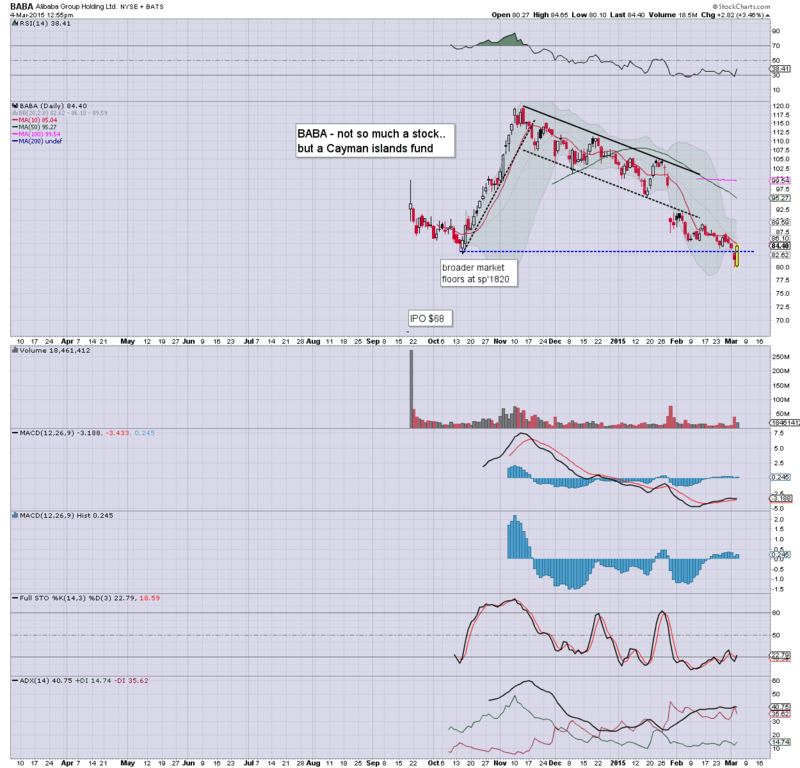 Downside target remains sp'2065.. which should equate to VIX (briefly) in the 17s. Absolute best downside is arguably the 2040s with VIX 18/19s, but frankly.. that looks highly improbable.. not least as the ECB QE-pomo train is about to arrive in the EU. AA, BTU, CHK, SDRL, TCK, all of those remain bearish in the near/mid term. updates into the close... not least if we slip into the 2080s. 3.15pm.. market stuck under the sp'2100 threshold. I realise some have been recently calling for 2088 as a low.. but to me.. that makes little sense. The daily MACD cycle only turned negative today, and typically can fall for another 3-5 days. 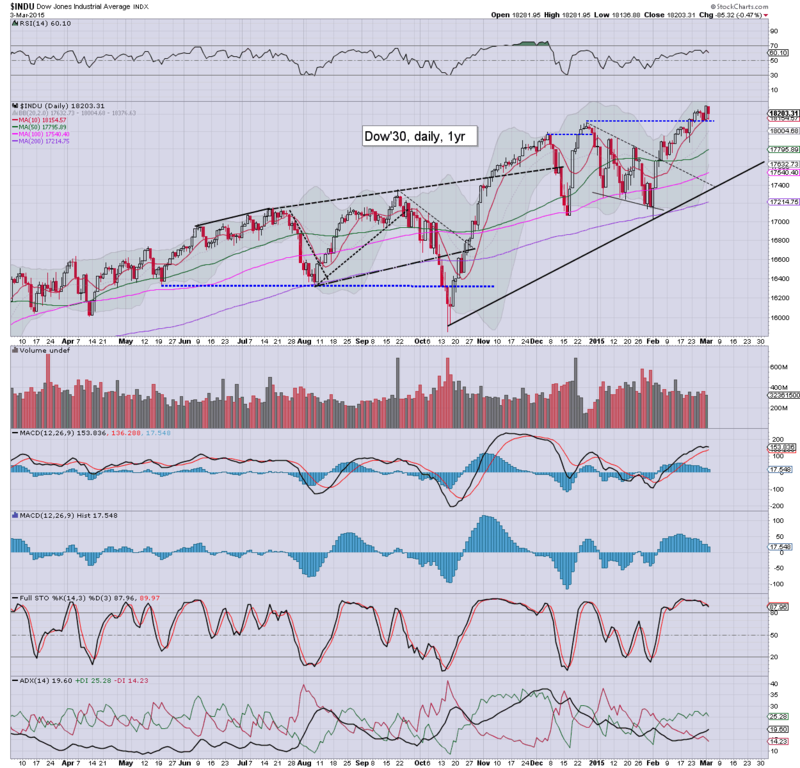 The 2060s look due... but clearly.. that will be pretty difficult before the weekly close. meanwhile... the comedy continues in the land of (toxic?) wood. 3.45pm.. Despite all the micro rallies... looks like we'll get that close under the daily 10MA... and the sp'2100 threshold. back at the close... to wrap up the day. Lets see what the algo-bots make of the latest fed book. *keep in mind, the ECB tomorrow... along with a wheel barrow of econ-data... price action should remain somewhat dynamic into the weekend. In far more important news... we have a third trailer for Avengers 2. I'd suggest full screen, with a glorious res' of 1080x. Bullish DIS, but then you regular readers will be well aware of that. 2.07pm.. Fed beige book... not surprisingly pretty bland... market unable to jump higher. Seeking broader weakness into the daily close.... not least as the market will be somewhat twitchy ahead of the ECB. Despite a rally from sp'2087 to 2100, there is still an air of weakness in the broader market. Certainly, the notion of new historic highs looks highly unlikely in the coming days. 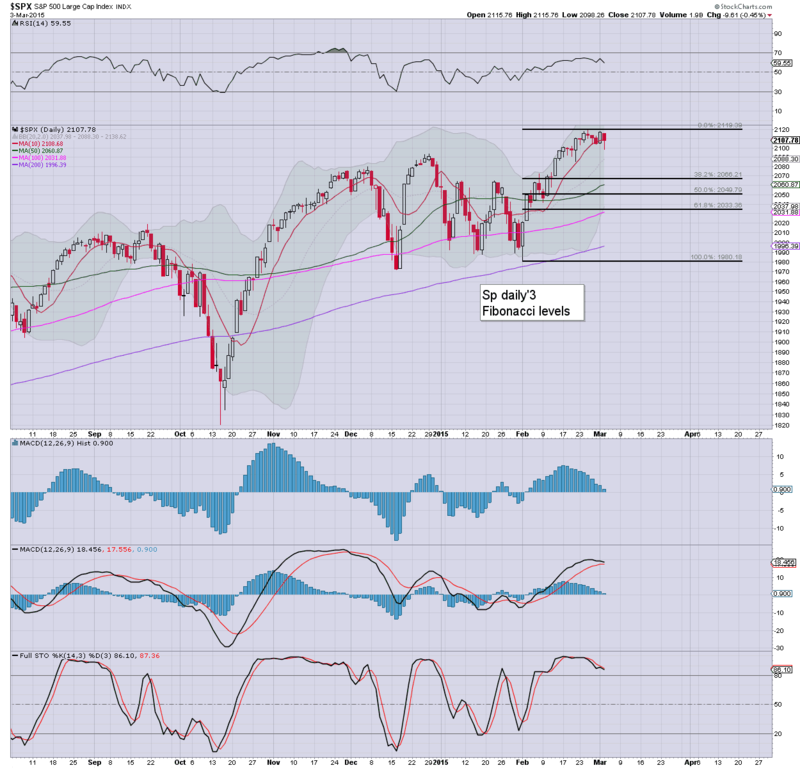 Primary downside target remains the sp'2060s, which should equate to VIX (briefly) in the 17s. So... a rally into the early afternoon, but the smaller 5/15min cycles are now maxed out. I'd be surprised if we don't start falling after the typical turn time of 2.30pm or so. A daily close in the sp'2080s would be useful... along with VIX 15s. With the floor taken out.. this is arguably a bonus opportunity for those still long to make a run for it. US equities are seeing a rather typical post 11am bounce... already climbing from an early low of sp'2087 to 2097. There should be some sig' resistance around 2100, with renewed weakness in the late afternoon. 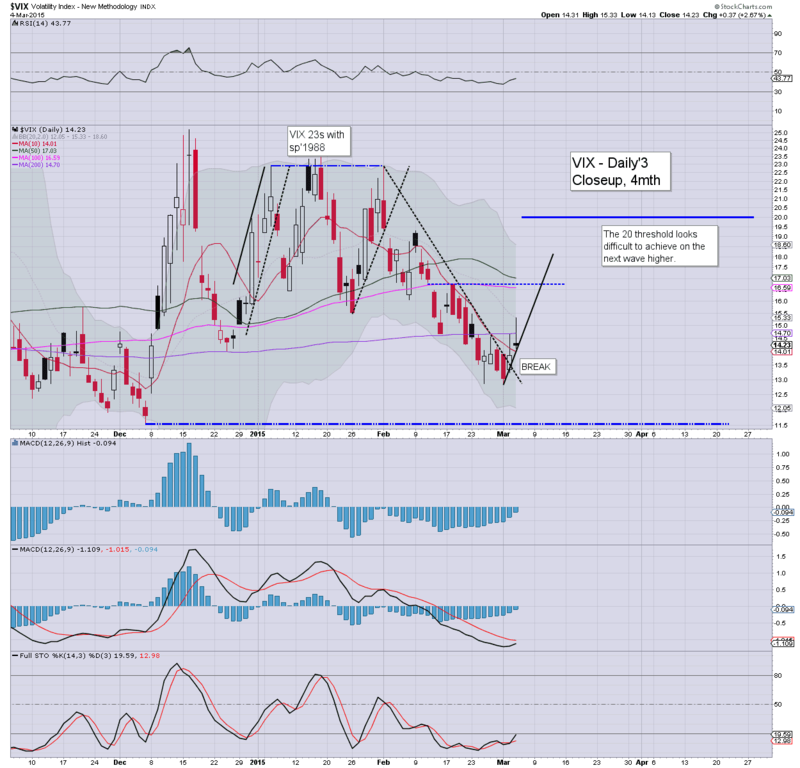 VIX is reflecting a market that broadly though.. has no real fear of anything. Suffice to say... bears should be looking for a daily close in the sp'2080s... along with VIX 15/16s. 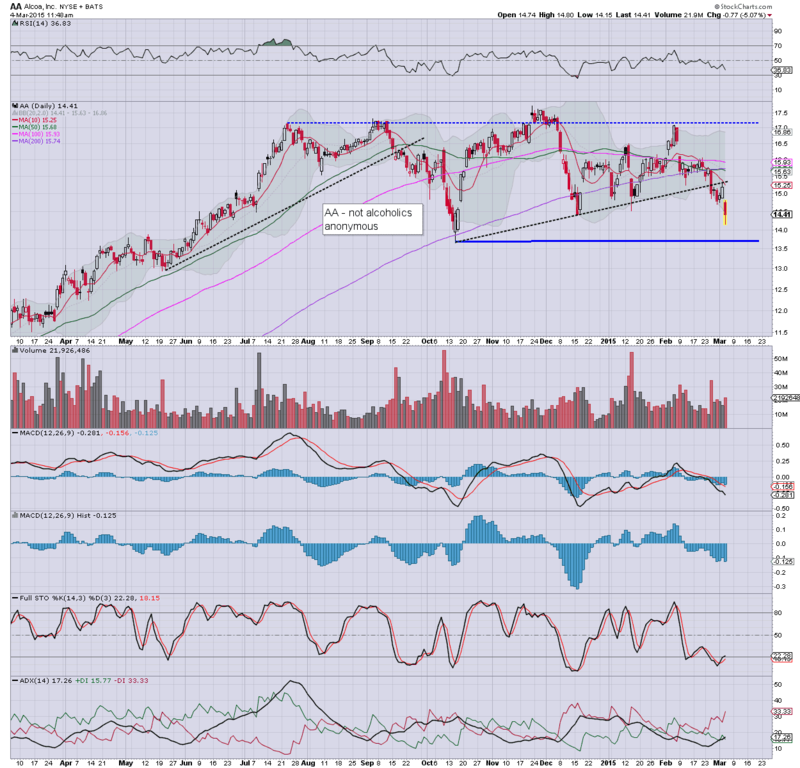 Notable weakness: AA, -5.1% in the $14.40s. Pretty ugly since early February, and the bigger monthly cycle is warning of a viable move to the 12/9 zone by late summer. US equities remain lower, but as ever.. are highly susceptable to an intraday bounce. There will be natural resistance at the sp'2100 threshold. VIX is holding moderate gains of 6%. Metals have once again lost opening gains, Gold back to flat. Oil has turned lower, -0.6%. *Oil inventories: 10 million surplus.... and that IS a reminder of the underlying supply glut. All things considered, the VIX is reflecting the underlying equity strength.. with the market having fallen almost 1%, but VIX still only in the 15s. Regardless of any intraday bounce, downside target remains sp'2065.. with VIX 17s... before the weekend. Oil/gas drillers, RIG -2.7%, SDRL -4.7%.... holding within a starkly bearish broader down trend. time to shop.... back soon! US equities open moderately lower, but are clearly starting to unravel... with a break into the sp'2080s.. along with VIX 16s viable today. Metals are holding minor gains, Gold +$2, whilst Oil +0.7%. Lower lows for equities... and higher highs for the VIX... we're on track. Target remains sp'2065... along with VIX 17s... but that will clearly take another day or two. Notable weakness, DISCA -1.8%.... cooling a little... but broadly strong. 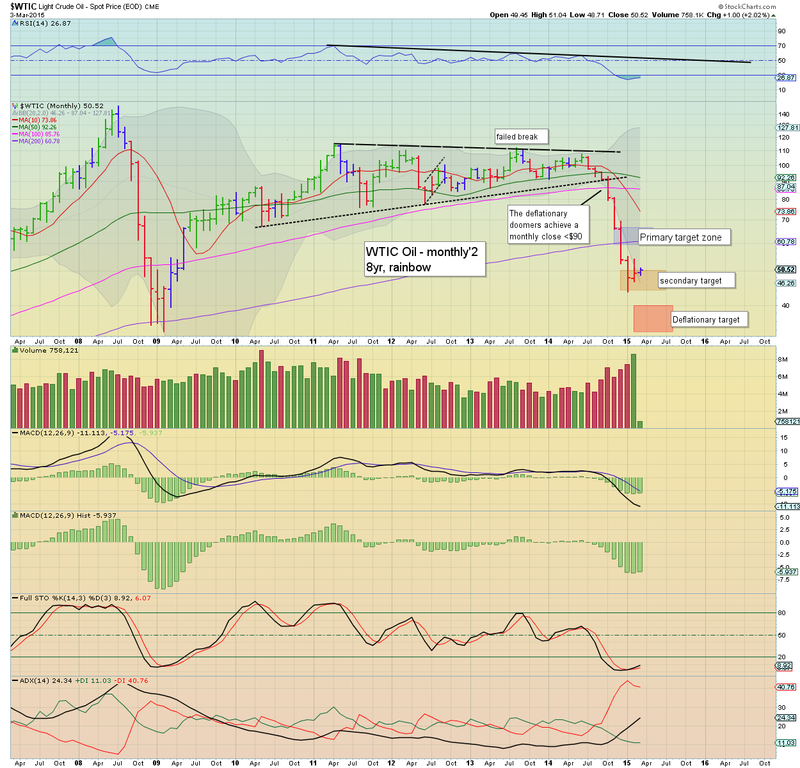 10.17am With the break into the sp'2080s... we have a bearish MACD cross on the giant monthly cycle.... MARCON 6.
Notable weakness: AA -5.6%... on a downgrade I believe. Good morning. Futures are moderately lower, sp -7pts, we're set to open at 2100. Metals are a touch higher, Gold +$1. Oil is higher ahead of the latest EIA report, +1.3%. *ADP jobs: 212k gains, broadly inline with market expectations. So.... we're set to open a little lower. It will be important for the equity bears to break the market into the 2080s today.. along with VIX in the mid/upper 15s. 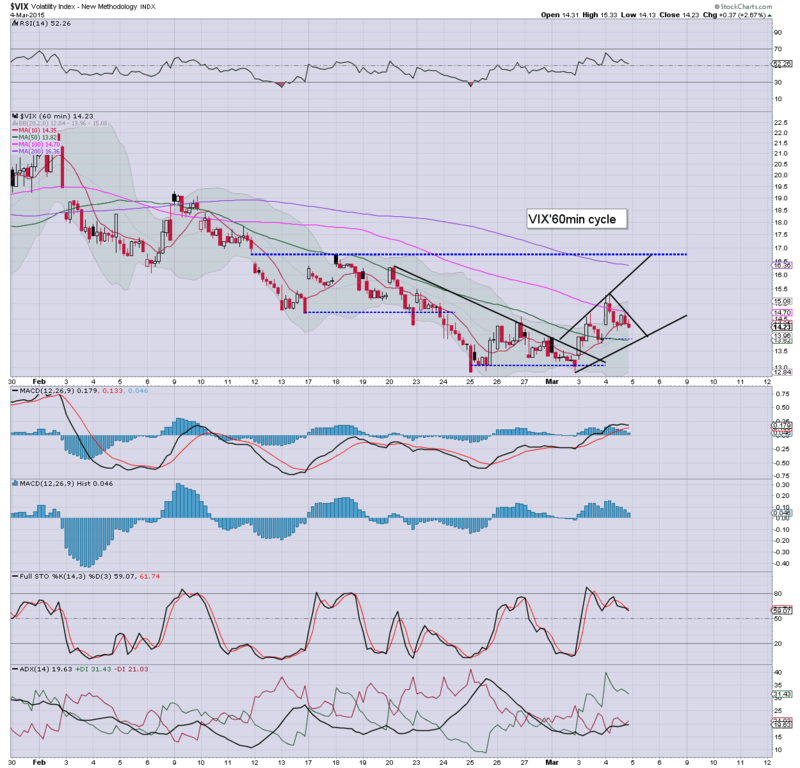 Primary downside target remains sp'2065, which should equate to VIX in the 17s. Quite frankly, I think Kirby is wrong about just about everything. As ever... come to you own conclusions. Whilst the US equity market appears to have begun a minor retrace to the sp'2060s, there remains the bigger issue of whether Oil has already put in a key floor ($43.58). For the Oil bears... the longer they take to renew the downward trend... the harder it will be to break into the $30s. *its late.. and I'm tired... so this will be brief. Suffice to say.. with Oil trading in an increasingly stable manner.. we have the first sign of a turn on the giant monthly cycle... via a blue candle. As ever.. how we close the month is what matters. If we do close March with a blue candle (green, certainly is not viable)... it would offer initial confirmation that $43 was a key multi-year floor. If that is the case... it has big implications for ALL energy sector stocks.. not least the Oil/gas drillers - notably.. RIG, SDRL, and DO, all of which have considerable upside potential across the next few years. *there are no less than 3 fed officials on the loose, and Mr Market will be listening for any talk of interest rates. US equity indexes closed moderately lower, sp -9pts @ 2107. The two leaders - Trans/R2K, settled lower by -0.5% and -0.6% respectively. 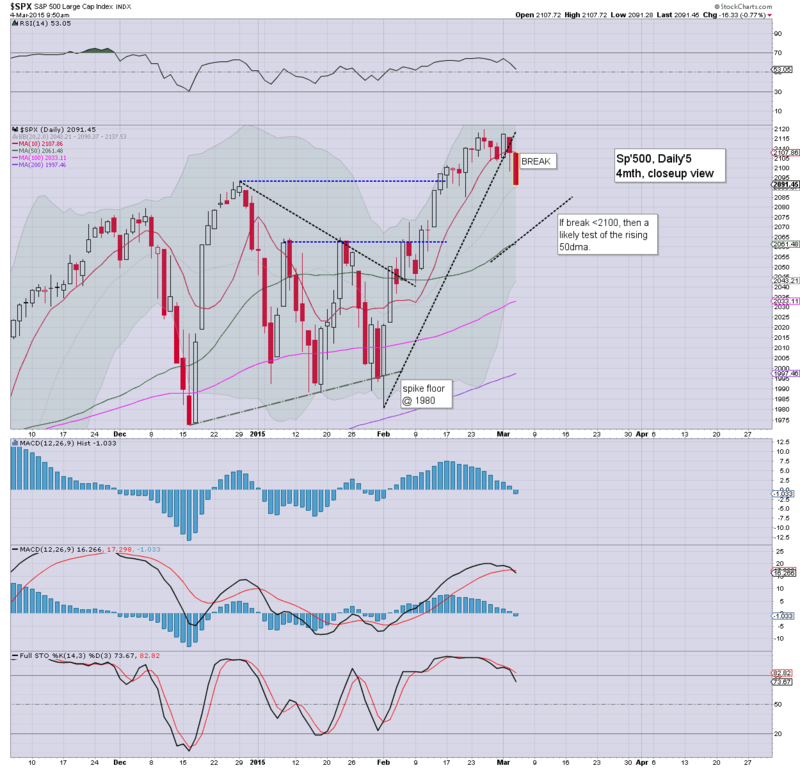 Near term outlook offers a minor retrace to the sp'2060s, which will likely equate to VIX 17s. Broader outlook remains powerfully bullish.